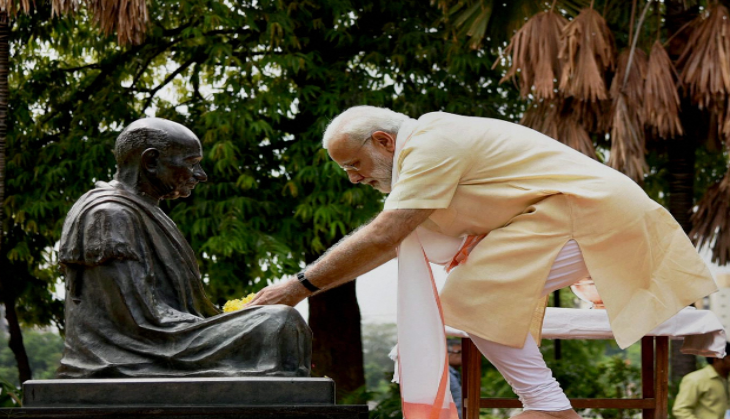 To commemorate the death anniversary of Mahatma Gandhi, Prime Minister Narendra Modi will dedicate the National Salt Satyagraha Memorial at Dandi in Gujarat to the nation on Wednesday. During the day-long visit of PM Modi to the state, he will also lay the foundation stone for extension of the terminal building at Surat Airport. As per the official release, PM Modi will visit the Navsari district of Dandi and here he will dedicate the memorial to the nation on the death anniversary of Bapu on 30th January 2019. In the National Salt Satyagraha Memorial, there will be a statue of Mahatma Gandhi and 80 Satyagrahi who had marched along with Bapu during the historic Dandi Salt March. There will also be 24-narrative murals which will depicting various event and also visitors will also able to know the stories from the historic Salt March held in 1930. After the inauguration of the memorial, PM Modi will address a public meeting.